Congratulations to Holiday Compadre on being inducted into the Morgan Show Horse Hall of Fame. A Morgan Horse of remarkable beauty, talent and heart, known as the “Cowboy Dressage Horse” that Eitan dances to music with, Compadre is a horse for all horsemen and women who simply love horses. 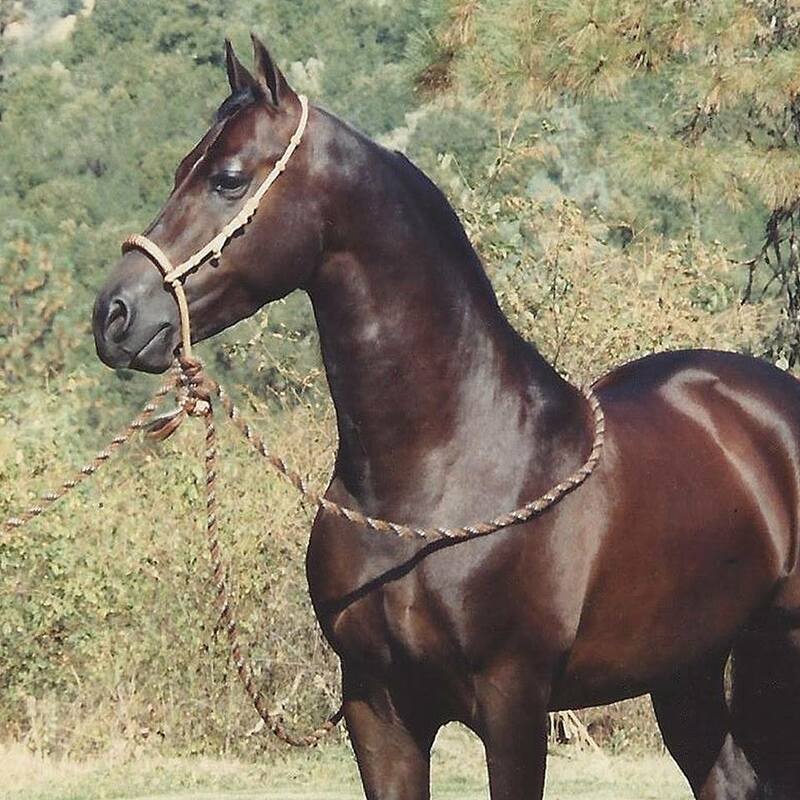 Many National Championships in Western Pleasure Stallions, Western Pleasure Gentlemen’s and Free Style ReiningHoliday Compadre was family bred, raised and trained. He was the “reality” of dreams for both Eitan and Debbie. This magnificent young stallion put Eitan and his Cowboy Dressage on the map. Compadre was the first of Eitan’s Cowboy Dressage Horses and Eitan will tell you that horse help make him what he is today. Remarkable, noble and honest Compadre carried Eitan to many memorable performance. Like Santa Fe Renegade he brought his “magic” to thousands. Compadre was a not a follower, he was a leader and he knew it. He is a small horse, 14.2 hands but he had the charisma and presence of a 16 hand horse. He was as big as he thought he was and he thought he was VERY BIG! Compadre was retired in 2002. He now lives with Ellen Di Bella at Sunrise Morgans in Parker, CO.
Holiday Compadre’s World Win Victory Pass from 1993. It changed history!! !